People need to travel to wherever they need to go. These travels can also serve very specific purposes. There could be people who travel to another country to learn about a specific topic, then there could be people who need to go somewhere for a very important business trip that could make or break company, then there are those trips that are just for the the pure sake of enjoyment and relaxation. However, there are some companies and people that won’t be allowed any form of travel unless they have the right authorization. 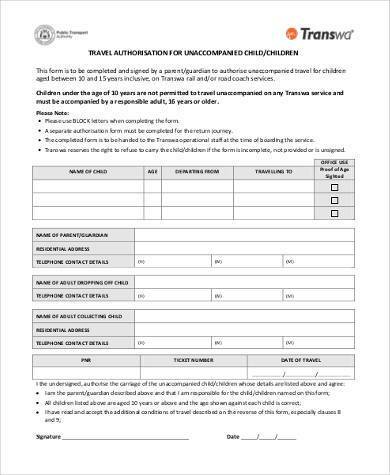 These people need to gather the right documents and the right signatures before they can do so, but one of the most important things that they can get their hands on and that they need are the proper Travel Authorization Forms. 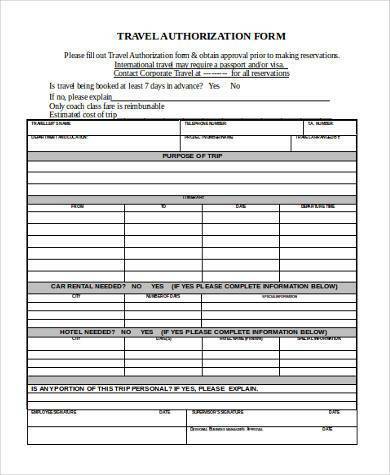 Employee Travel Authorization Forms are the kind of forms that are used by those people who work at certain companies and who need to be granted access for certain trips. These trips could be for business-related purposes, or just for the employee to take some time off and relax. 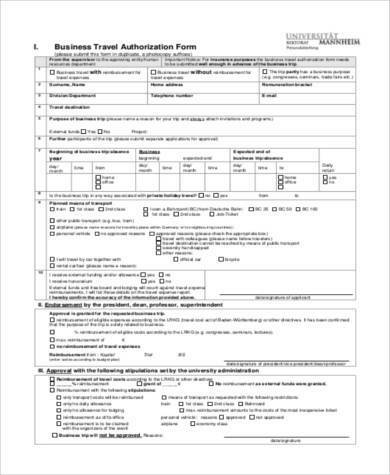 Business Travel Authorization Forms are used mainly for the sake of any kind of business-related travel. 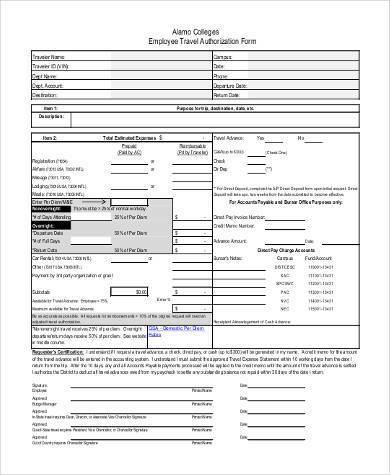 These authorizations are only used for major business travels that could greatly affect the company. 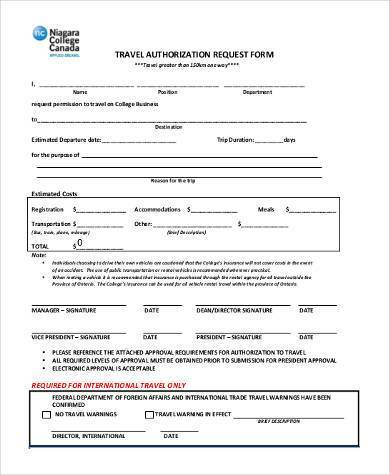 Educational Travel Authorization Forms are forms for those who wish to travel to different areas for the sake of learning. 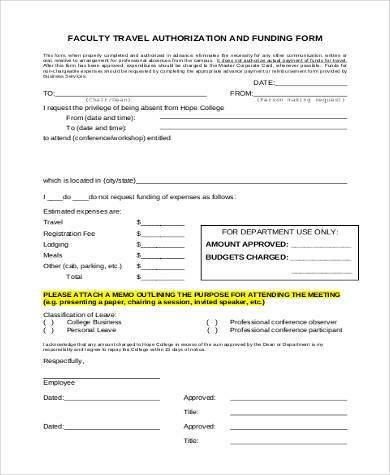 These are mostly used by any educational establishment to see if the student is willing to go on an educational trip and if that person is applicable for it. 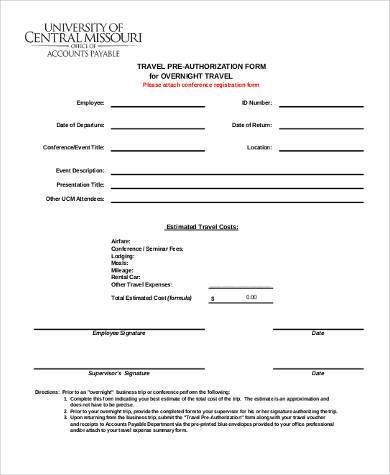 The reason for having forms such as Travel Credit Card Authorization Forms is because there are some people who just aren’t applicable for certain kinds of trips. 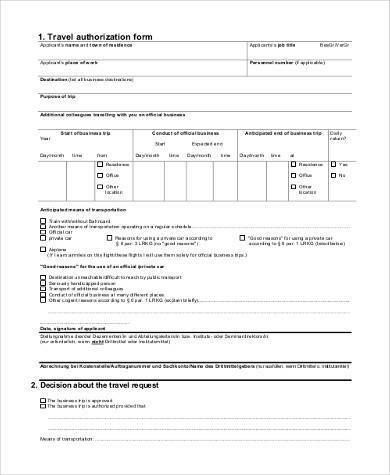 That’s why companies or other establishments need to make sure that these people are granted the proper authorization, if and only if they have everything ready that’s necessary for them to be granted the permission to do so. 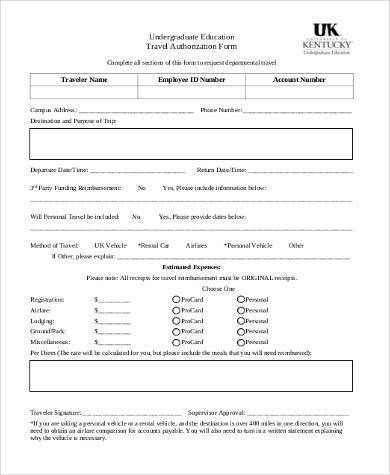 People who want to travel really need to make sure that they sign these forms and that they comply with every requirement that these forms need. Otherwise, they aren’t going to make it to that important business meeting or that luxury vacation they were hoping for.